WE OFFER CROSSFIT WODs & ONE ON ONE PERSONAL TRAINING SESSIONS TO PROVIDE A PERSONALIZED FITNESS PROGRAM FOR YOU & YOUR FITNESS GOALS. SIGN UP ONLINE FOR A 7 DAYS FREE! We offer small group classes led by a certified trainer who will motivate you to perform at your best, regardless of your current fitness level. We offer Crossfit WODs and one on one personal training sessions to provide a personalized fitness program for you and your fitness goals. Other class offerings include Yoga and HIIT (high intensity interval training) utilizing lighter weights and body weight movements. It’s time to expect more from your workout! 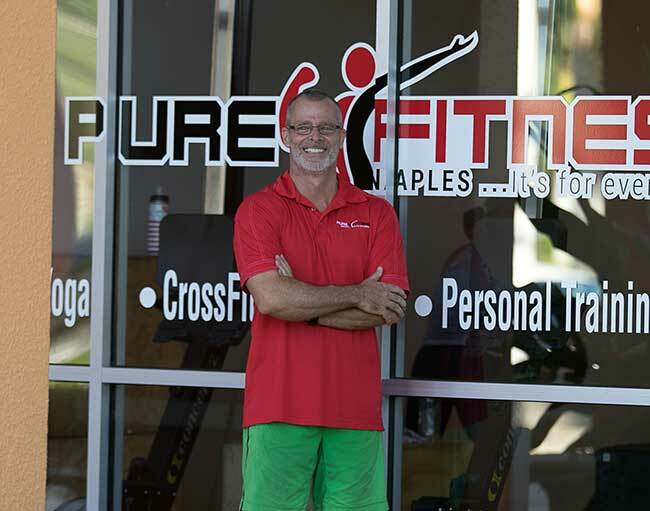 Pure Fitness Naples offers the best in personal training. We take you through customized workouts based on your unique fitness and health goals. Weight loss, building muscle, muscle tone, athletic enhancement, whatever you are wanting, we will help you get there. Increased range of motion can generate power and promote efficiency of functional movements through improved position and posture. 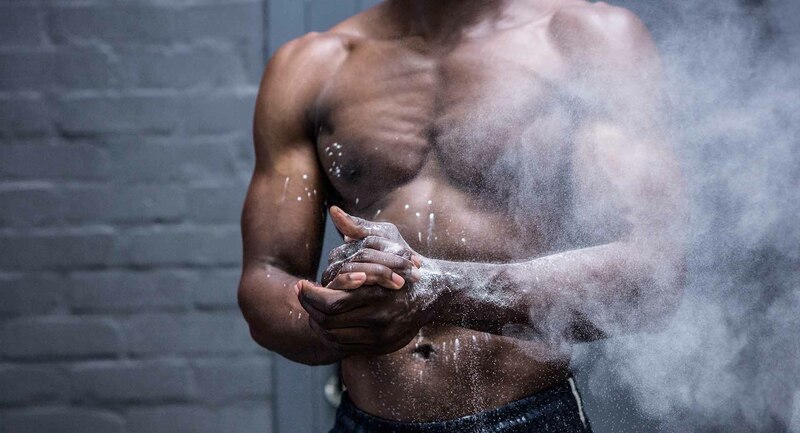 Range of Motion is optimized through the strengthening of ligaments and tendons while simultaneously removing excess fascia through specific stretching routines. Joey Sandoval was born in Raton, NM. He played basketball in high school and was a McDonald All American nominee, making it down to the final cut. He understands hard work pays off and has learned how to help other people work hard to reach their fitness goals. Joey has worked in the fitness industry for over 16 years. With 16 years of experience, he has seen all types of fitness fads come and go, but it all comes back to hard work. Joey will motivate you to do things you did not think you could do. He will change your life! When Joey is not in the gym changing lives, you can find him with his family or on the golf course. I can’t say enough good things about Pure Fitness…just go in, do the workouts, and in time you will get into great shape. Super clean Facility! Joey is great, I had back surgery last year and with every work out he either modifies or watches my form to make sure I’m being careful. You’ll definitely get a great work out in! 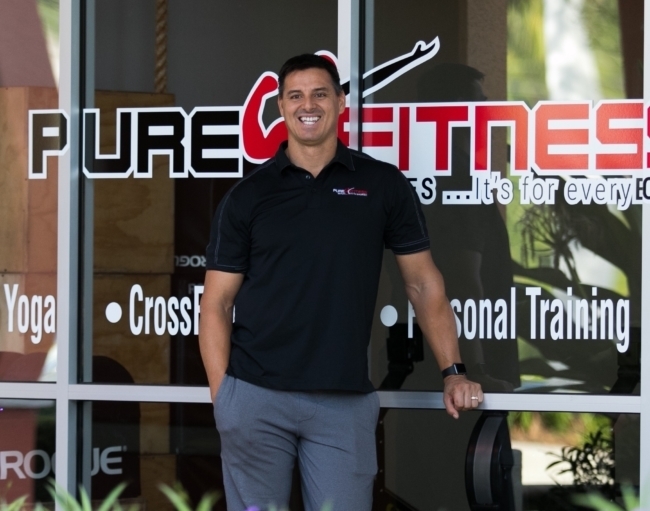 I am thankful Joey started Pure Fitness. Perfect size with the right touch of personalization. Clean. Fun classes and great members. Thanks Joey!